Naturalized: Asia-Temperate China: China - Fujian, - Guangdong, - Hainan, - Yunnan Eastern Asia: Taiwan Western Asia: Israel Australasia Australia: Australia Pacific Northwestern Pacific: Marshall Islands (ARS GRIN) Primarily in tropical America, but naturalized in many warmer regions of the world (EOL). Naturalized in California and Arizona (USDA-NRCS). Naturalized in temperate regions and western and northern Australia (ARS GRIN). Primarily found in tropical America, but naturalized in many warmer regions of the world (EOL). Naturalized in California and Arizona (USDA-NRCS). Considered a noxious weed in Arizona (USDA-NRCS Plants Database), Australia (Wikipedia). It can grow in many habitats and is found in dry and moist regions in rainfed and irrigated crops and has been reported as a weed of 18 crops in 35 countries, mostly in cereals, pulses, vineyards, plantation crops and pastures. C. echinatus occurs as a weed in many crops worldwide. It is common in cultivated fields, pastures, fallows, orchards, vineyards, coffee, vegetables, bananas, coconuts and lawns, where it can withstand repeated defoliation. It can be found along roadsides and beaches, in open ground and waste places. Crops competing for nutrients with C. echinatus typically have smaller leaf areas and lower growth rates and yields (CABI; Crop Science). Invasive in many regions throughout the world, especially tropical regions, and Australia, China, Japan, and New Zealand (PIER). Bayer CropScience AG (2016). Crop Science. Longspine sandbur (Cenchrus longispinus) is invasive in California (UC IPM). Similar exotic species: Cenchrus ciliaris (FloraBase: The Western Australia Flora). Cenchrus spinifex is an aggressive invader in Arizona (Invasive Plants and Weeds of the National Forests and Grasslands in the Southwestern Region 2nd edition). United States Department of Agriculture, Forest Service (2013). Invasive Plants and Weeds of the National Forests and Grasslands in the Southwestern Region 2nd edition. C. echinatus grows from latitudes 33°S to 33°N in the tropics and subtropics of America, Africa, Asia and Oceania. C. echinatus is a native of tropical America, occurring as an adventive in most tropical countries. It can grow in many habitats and is found in dry and moist regions in rainfed and irrigated crops and has been reported as a weed of 18 crops in 35 countries, mostly in cereals, pulses, vineyards, plantation crops and pastures. Present throughout the world (CABI) in many climates overlapping with California (Cal-IPC). Cenchrus echinatus can grow in a variety of conditions, and grows readily in tropical and temperate zones. Though it is often associated with dry, sandy soils, C. echinatus thrives in moist conditions where it is generally longer lived and can grow much larger. It readily colonises open ground and is known to invade agricultural areas, riparian zones, disturbed areas, sand dunes and other coastal areas, pasture, road sides, gardens and swamp margins (Global Invasive Species Database). 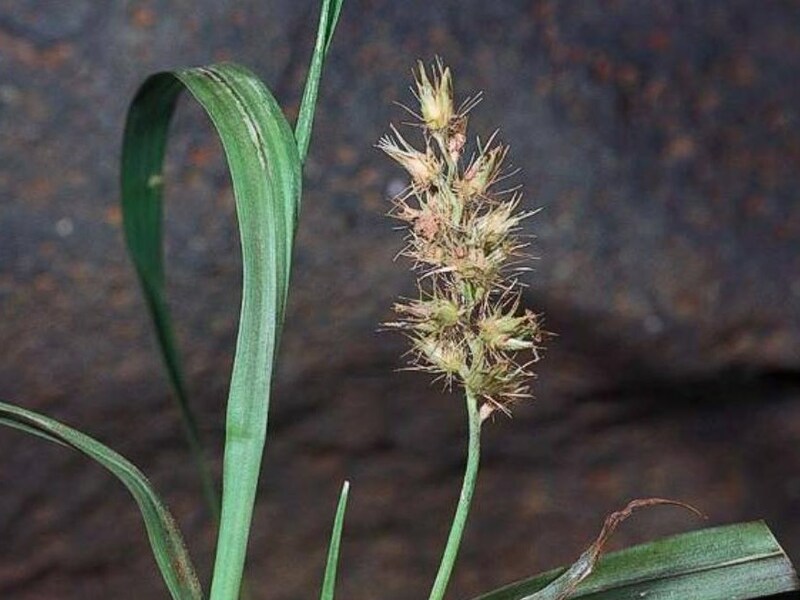 Mossman river grass competes for moisture, nutrients and light in tropical and subtropical crops (Weeds of Australia Biosecurity Queensland Edition). A prolific seeder, it forms mats and can displace native grasses (Global Invasive Species Database). In Hawaii, it has been shown to seed prolifically, form mats, and appeared to be displacing the native bunchgrass Eragrostis variabilis over large areas of the western part of the island (Control and eradication of the introduced grass, Cenchrus echinatus, at Laysan Island, Central Pacific Ocean). Flint, E.., & Rehkemper C.. (2002). Control and eradication of the introduced grass, Cenchrus echinatus, at Laysan Island, Central Pacific Ocean. Turning the tide: the eradication of invasive species. 110–115. Adult fire response: Seeder (>70% mortality when subject to 100% leaf scorch) (Northern Land Manager). Fire response: Stimulates germination of soil-stored seed (FloraBase: The Western Australia Flora). An exhaustive Google/Google Scholar search did not reveal any evidence of fire promotion or changes to fire regimes, and this defaults to a "no" answer. NRM Networks (2011). Northern Land Manager. This native grass is adapted to dry, sandy soils and has a shallow, fibrous root system. It can easily invade a poorly managed field, diminishing the quality of a hay crop or grazing pasture. Once flowering, cattle will not graze sandbur (University of Florida IFAS Extension). The burs of the seed heads can become firmly attached to clothes and coats of animals by the barbed spines. These can penetrate the skin causing painful or annoying injuries. In feeds and hay, the burs of the seed heads reduce the acceptability and palatability of the feed to animals. Nevertheless, it can serve as a forage grass before the burs are formed (CABI). Burrs reduce the value of wool and make shearing hazardous. Spines of burrs also penetrate hides lowering their value (Weeds Australia - Weed Identification). They can also penetrate bare feet (Weeds of Australia Biosecurity Queensland Edition). They are reported as dangerous for hatchlings of seabirds on the Northwestern Islands (Global Invasive Species Database). UF/IFAS Center for Aquatic and Invasive Plants, University of Florida (2015). University of Florida IFAS Extension. Australian Weeds Committee (0). Weeds Australia - Weed Identification. Because of sandbur’s low growing habit, plants can produce seeds below the mowing height (University of Florida IFAS Extension). An exhaustive Google/Google Scholar search did not reveal any evidence of production of thickets or blocking passage, and low height makes this unlikely, and this defaults to a "no" answer. Spread by seed; no stolons (Crop Science). An exhaustive Google/Google Scholar search did not reveal any additional evidence regarding vegetative reproduction, and this defaults to a "no" answer. An exhaustive Google/Google Scholar search did not reveal any evidence of production of new plants via fragments, and as this is a terrestrial plant unlikely to fragment that does not reproduce via vegetative means, this is unlikely, and this defaults to a "no" answer. Spread by seed; no stolons (Crop Science). Spread by seed (Weeds of Australia Biosecurity Queensland Edition). Burlike fruit, each spike has 5-20 burs (Crop Science). A prolific seeder, it forms mats and can displace native grasses (Global Invasive Species Database). An exhaustive Google/Google Scholar search revealed no additional information about seed production, and this remains unanswered at this time. Southern sandbur seeds start to germinate in late spring, and germination continues through the summer and fall (University of Florida IFAS Extension). They can emerge throughout the spring and summer, and a flush of sandbur can often occur after a rain in late summer (Sandbur Control in Bermudagrass Pastures and Hay Fields). Funderburg, E., & Locke J. (2011). Sandbur Control in Bermudagrass Pastures and Hay Fields. Annual plant producing seed in the first year (Crop Science; PIER). Flowering occurs in late fall, and growth is consistent until the first frost (University of Florida IFAS Extension); flowers in October in California (CalFlora). Each bur contains 1–3 seeds, and they are easily dispersed when the spines attach to animals, clothing, or machinery (University of Florida IFAS Extension). The burs of the seed heads can become firmly attached to clothes and coats of animals by the barbed spines. These can penetrate the skin causing painful or annoying injuries (CABI). Dispersal: Wind, mammals, water, clothing; burrs readily attach to clothing or animals and can be carried by water (FloraBase: The Western Australia Flora). Burrs float and are moved by water (Weeds Australia - Weed Identification). Dispersal: Wind, mammals, water, clothing (FloraBase: The Western Australia Flora). The burrs can float on water and is dispersed through flowing water (Global Invasive Species Database). Each bur contains 1–3 seeds, and they are easily dispersed when the spines attach to animals, clothing, or machinery (University of Florida IFAS Extension). Dispersal: Wind, mammals, water, clothing; burrs readily attach to clothing or animals and can be carried by water (FloraBase: The Western Australia Flora). Screen was reviewed by Mona Robison (independent contractor): no issues; nothing changed.